I had porcelain veneers placed on about a month ago. Two of them have fallen off. I went in to see my dentist about it. He agreed to bond them back on free of charge. When I asked them why they fell off, he got offended and blamed my mouthwash. Is that accurate? Am I damaging my porcelain veneers? There are certain mouthwashes that could (eventually) cause a problem with your porcelain veneers. I doubt any of them would cause them to fall off that quickly. It sounds like your dentist is passing the buck for his poor bonding technique. 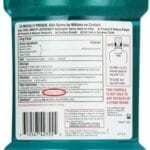 Most mouthwashes are fine to use with your dental implants. The ones to watch out for containing alcohol. Listerine is the biggest culprit. It can contain up to 21% alcohol. If you avoid that ingredient, you should be fine and there are plenty of brands to choose from. Crest Pro-Health and Breath-Rx are two alcohol-free brands. Many dental offices even sell it in-office. I’m a little concerned with the response your dentist gave you. I don’t like it when professionals don’t take responsibility for their mistakes. 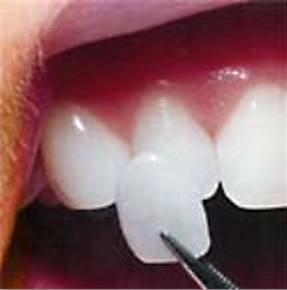 The bonding on porcelain veneers is quite strong and, when properly done, lasts the lifetime of the veneers. Yes, there are things which can damage it, but rarely is that seen to wear down so quickly. Is your dentist one who does a lot of cosmetic procedures or just a family dentist who dabbles in cosmetic work? That can make a huge difference in their technical skill, artistry, and even knowledge of their work. In case they’re not an office with expertise in porcelain veneers, I want to warn you about something before your next check-up. Under no circumstances should your hygienist use any power polishing equipment, such as a prophy jet. This will take the glaze right off your porcelain veneers. Then they’ll become dull looking and pick up stains quickly. In short, it will ruin them. If this isn’t a practice that knows a lot about cosmetics, their hygienist may not be trained in these procedures. Often, we encounter patients who use hard toothbrushes thinking the firmness means it cleans better. The opposite is actually the case. All the hard brush will do is scratch your veneers and wear down your gums. Even brushing hard can damage your gums, so brush gently. While we’re on the subject of toothbrushes, let’s talk about toothpaste. First, avoid whitening toothpaste. They have abrasives in it which is supposed to attack stains. They do. But, they also attack the glazing on both natural tooth structure and dental work, like porcelain veneers and porcelain crowns. This will cause them to actually pick up stains more readily. While teeth whitening can help with natural tooth structure, it can’t do anything for dental work. The best brand of toothpaste for any kind of cosmetic dental work is Supersmile. It’s specifically formulated for cosmetic dental work. This one is pretty self-explanatory. You need to keep healthy gums. We’ve already gone over this in-depth so we won’t rehash it here. We’ve discussed above the damage power polishing equipment can do. The same is true of a pumice. The problem is there are many things a dentist or hygienist can do to ruin your veneers. That’s why it’s important to go to a clinic who doesn’t need additional training. This is only necessary if you happen to be someone who grinds or clenches their teeth. Those habits can do serious damage not only to your cosmetic work but to your teeth in general. It can lead to chipped or broken teeth and even TMJ Disorder. The problem is most people don’t even realize they’re doing it because they only do it in their sleep. A good dentist keeps an eye out for that and checks for the signs. If you’re not sure, ask your dentist. A mouthguard isn’t very expensive and can protect you from additional harm. Can I Use Mouthwash With Porcelain Veneers? I just invested a lot of money with porcelain veneers and really love them. I feel beautiful for the first time in my life. I’ve always been a mouthwash user. It’s just a habit I’ve developed over the years to avoid bad breath. I don’t want to do anything to damage them and wondered if it’s safe to use my mouthwash on them. I’m thrilled you’re pleased with your smile makeover with porcelain veneers. Under a skilled, artistic dentist they can be absolutely stunning. It’s also fantastic that you are looking for ways to take care of them right from the beginning. Mouthwash isn’t necessary and often is the cause of bad breath which makes you continue using it, but there are mouthwashes that are safe to use with your porcelain veneers. The most important thing is to check the ingredients. You want a mouthwash that is alcohol-free. Alcohol will eat away at the bonding material that keeps your porcelain veneers secured to your teeth. You’ll start with micro-leakage then the veneers themselves can fall off. Using alcohol-free mouthwash won’t negatively impact your bonding. There are important steps you can take to ensure your veneers last for a long time. The most important thing is good oral hygiene. On top of brushing twice a day, make sure you’re regularly flossing. While the veneers protect the parts of your teeth they cover, you can still develop decay in the exposed parts of your teeth. Then you’ll be looking at getting a filling by your porcelain veneers which can be tricky. The toothpaste you choose is important. You can use over-the-counter toothpaste, just make sure it’s not a whitening toothpaste. Those contain abrasives which can scratch your veneers. The scratched portions can pick up stains. If you want a toothpaste specifically designed for cosmetic work, order Supersmile Toothpaste. This is the ideal toothpaste, but it costs more than your typical over-the-counter brand. Finally, make sure you’re going to a dental practice that understands cosmetic dentistry for your check-ups and cleanings. They’ll train their hygienists not to use anything like a prophy jet which can remove the glaze from your veneers. Why are my 1-Year Old Porcelain Veneers Staining? I’ve had porcelain veneers for about one-year. In fact, I’m still paying on them. I noticed today they’re picking up some mild staining between my teeth. I thought they were stain resistant. Is something wrong? What do I do? You’re right that porcelain veneers are stain resistant. In fact, they’re more resistant than our natural teeth and should last you many years with proper maintenance. If damage had been done to your veneers, which is possible if your hygienist uses a prophy jet or an acidulated fluoride, the staining is over the entire tooth. Because your stains are between the teeth, it makes me think you’ve got some composite bonding staining there. Though, I couldn’t tell you exactly without seeing a picture of it. This is fairly easy to solve and is actually just part of routine maintenance for your veneers. However, your average family dentist won’t know this polishing procedure. So, for this particular part of your regular maintenance, I’d go back to the dentist who placed your veneers to begin with. Daily Oral Care: Be sure you’re brushing and flossing regularly. While your veneers are decay resistant, the exposed parts of your teeth are not. You’ll need to keep up with your care so you don’t end up needing a filling on a veneered tooth. Toothpaste: I’m sure your cosmetic dentist already told you this, but the ideal toothpaste for you to use is Supersmile toothpaste. It’s specifically designed for use with cosmetic work. Regular Polishing: Just as your veneers were polished when you first received them, you need to schedule regular re-polishing appointments. 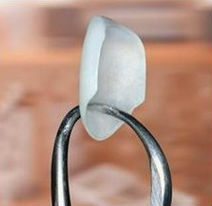 The hygienist uses ultra-fine polishing strips in this area and an aluminum oxide polishing paste. For smokers, that’s even more important.